If recent updates made your Apple apps unplayable, you can blame FairPlay DRM. Over the last few days over 70 apps - including such fan favorites as Angry Birds - have been rendered unplayable, and now the problem has been linked to Apple's FairPlay DRM. Thanks to improperly managed implementation, the DRM fails to recognize the game after the update has been applied. It then crashes the app, and even uninstall/reinstall won't solve this problem. Affected developers claim that the problem is being resolved, but that for the moment there is no certain cure. The problem is thought to have affected users in the UK and US who had updated at some point between July 3rd and July 5th. One developer, Readdle - makers of ScannerPro - said that the fault meant that after installation the application "doesn't pass DRM validation and terminates immediately." The problem only affects users who updated within that July time frame, so in theory the best solution is simply to wait for an unbroken copy before reinstalling. Apple has since claimed that the problem has been fixed and wasn't as widespread as first thought, though the affected developers dispute this. Moreover there are some indications, as yet unverified, that even installing a clean copy after the 5th wasn't enough to solve the issue in all cases. There are plenty of reasons to dislike DRM, without Apple giving its customers a reason to curse FairPlay. Timing is everything, and for something like this to happen over the 4th July - when America goes on a day-long holiday - is doubly unfortunate. 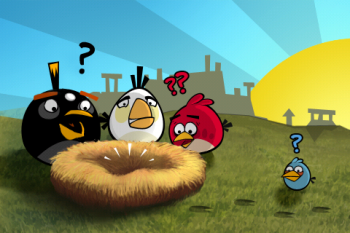 There will have been thousands of people trying to download Angry Birds and many other popular apps on the 4th. For FairPlay, of all things, to stop playing fair during a national holiday is an Apple nightmare.